Continuous anti-piracy patrol by the Indian Navy and Coast Guard, off Lakshadweep Islands has started yielding results. On January 28, 2011 a fishing vessel Prantalay 14 (hijacked with crew and used as mother ship for many months for piracy) was damaged and subsequently sank during joint anti-piracy operations by the Indian Navy and Coast Guard. 20 fishermen kept as hostages were rescued from the mother ship and 15 pirates were also captured. 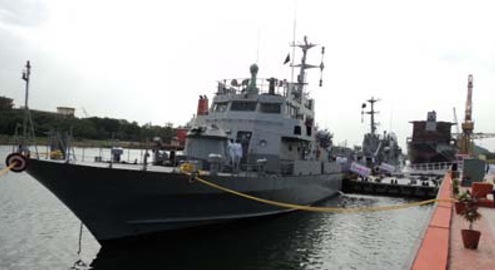 INS Cankarso, a Waterjet Fast Attack Craft (WJFAC) of the Indian Navy (commissioned on June 29, 2010) took part in the operations. On the morning of January 28, 2011 a Coast Guard Dornier on routine patrol, spotted two white colour skiffs closer to a merchant vessel MV CMA CGM Berdi, a Bahamas flagged container carrier about 300 nautical miles west of Lakshadweep islands. The Dornier also spotted a mother ship Prantalay nearby. 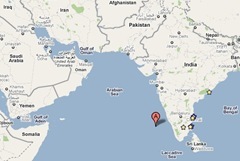 Thereafter, the Indian Navy and Coast Guard kept a continuous watch on the suspicious mother ship Prantalay. On sighting the Coast Guard aircraft, Prantalay started escaping from the area after taking back the two skiffs onboard. This prompted the Indian Navy to divert INS Cankarso already deployed in the area to investigate Prantalay. As Prantalay failed to respond to the communications made by INS Cankarso, the warship fired warning shots to stop the vessel. The vessel started firing back towards the warship. During the exchange of fire, the vessel was damaged (also caught fire due to fuel drums kept on upper deck) and started sinking. The crew from Prantalay jumped into sea to save themselves. INS Cankarso rescued 20 fishermen (of Thai and Myanmarese nationalities) and captured 15 pirates. Later INS Kalpeni and CGS Sankalp also joined the operation. 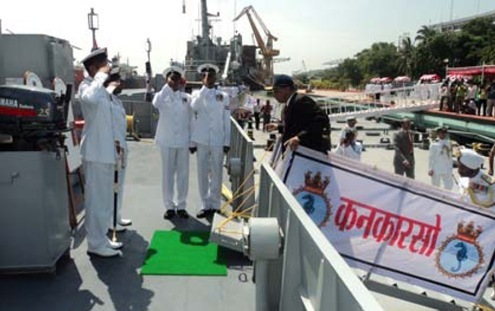 Here are some commissioning photographs of INS Cankarso, Waterjet Fast Attack Craft (WJFAC).